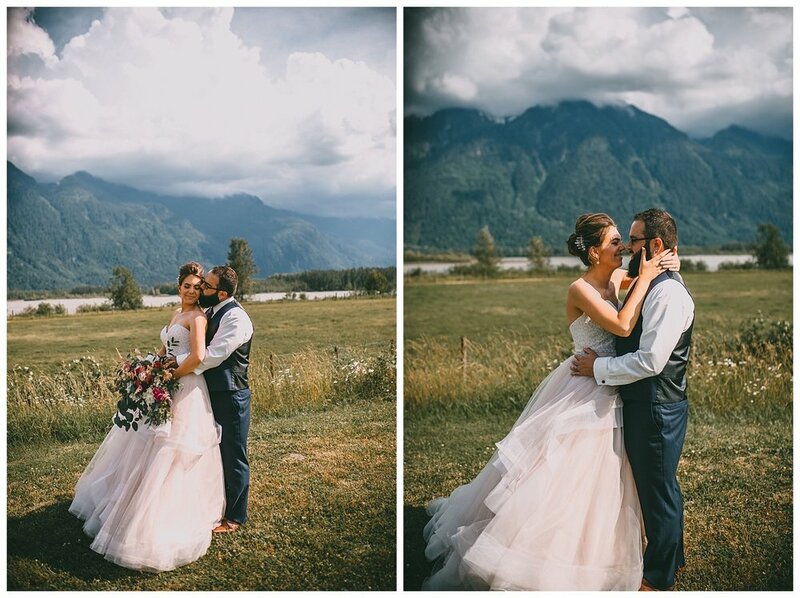 This Fraser River Lodge wedding has to be one of my favourite weddings of all time. Meghan nailed every detail. It started with the MOST stunning Stella York dress from Lisas Bridal to the perfect makeup by Melody & the endless DIY decor, Meghan thought of it all and her efforts made for the most stunning day. Meghan and Richard have such a long lasting love, their own little family and the amount of friends & family crying during their ceremony made it so obvious how loved they are. I can definitely tell why. Meghan & Richard... thank you for having me. It was AMAZING.